There are as many Roald Dahl film adaptations as there are divided opinions about their success. The latest one, The BFG, which is based on the late British author's 1982 children's book of the same name, has once again received mixed reviews despite the prestige names attached to it. Directed by legendary American film-maker Steven Spielberg with Oscar-winning British actor Mark Rylance playing the titular role, the film tells the story of the BFG, or "big friendly giant", and his friendship with an orphan girl named Sophie (played by newcomer Ruby Barnhill). When the movie opened in American theatres last month, critics were split: The Los Angeles Times happily compared it to a "good dream", but The Rolling Stones' Peter Travers felt that "things get 'a bit grumbly' when the worlds of Spielberg and Dahl collide". On Rotten Tomatoes, the film has a fair 74 per cent rating, just shy of being "certified fresh" on the popular reviews aggregator website. The general audience rating on the site is even lower at 62 per cent. The movie opens here tomorrow. Dahl's writing has been known to be particularly difficult to adapt - as visually arresting as it lends itself to be, it is no easy thing to imitate his cheeky and breezy tone. The two movie versions of his 1964 novel Charlie And The Chocolate Factory - Mel Stuart's cheerful Willy Wonka & The Chocolate Factory (1971) starring Gene Wilder and Tim Burton's much darker and more adult adaptation in 2005 - could not be more different in tone or style. And, arguably, neither really worked. Dahl himself famously loathed the film adaptations of his books released during his lifetime, calling Stuart's version "crummy", even banning Hollywood from doing a sequel. So when he died in 1990 of a blood disease, his widow, Felicity, working with literary agent Michael Siegel, tried to preserve his legacy by making sure to personally meet every film-maker interested in adapting any of his stories first, instead of the typical approach of simply selling the story rights to major studios. Equally challenging is the attempt to bring to life on the big screen Dahl's fantastical language of more than 500 made-up words across his 21 children's books, which are collectively known as "gobblefunk". According to Ms Peggy Leong, deputy director (academic) of Ngee Ann Polytechnic's school of humanities and social sciences, there is always the potential "loss of enjoyment of the sharp, descriptive language used in the books" when they are translated to film. In The BFG book, for example, the titular character, who is selfeducated, speaks a funny language, using words such as "whoppswhiffling" to mean unbelievable and "whizzpopping" to mean farting. Housewife Lu Shifang, 40, who has been reading Dahl's stories to her seven-year-old daughter Sharon for the past three years, says: "It's fun to sound out these words when we read together, especially the extra-long ones. "I'm not sure if that effect is the same in a film because when the character keeps saying it randomly, it could all become a little annoying." The biggest challenge of adapting Dahl's stories for the silver screen is probably toeing that fine line between staying faithful to his horrific stories and not making them too scary for children, who are, after all, the target audience. The author is famous for not sugar-coating life's vagaries and tragedies in his writing, even if they are aimed at children - Charlie of Charlie And The Chocolate Factory comes from an impoverished home, while the other kids in the story face permanent body alterations such as turning into a giant blueberry. Dahl's villains are also unremittingly mean and cruel - school headmistress Miss Trunchbull in Matilda (1988) forcibly makes a student named Bruce eat an enormous cake until he is sick as punishment for stealing cake from the kitchen. 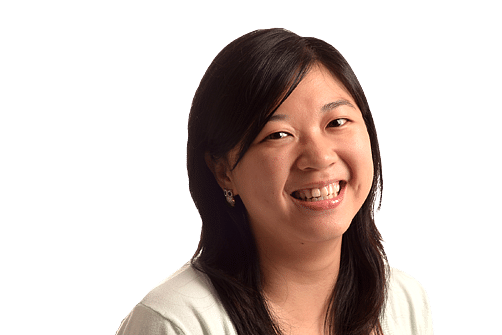 Assistant Professor Qu Li of Nanyang Technological University's division of psychology has watched two stage adaptations of Dahl's stories - Charlie And The Chocolate Factory in London and Matilda on Broadway - and says children among the audience for both shows "gasped" in the theatres. She says: "It is horrible when you see the characters you like being abused. But it seems that they knew the story, so they expected something horrible would happen. "That helped them to relax a bit, so I would recommend that parents read these stories to their children before they watch any adaptation of them." Despite all the obstacles, film- makers will carry on trying to adapt Dahl's stories because they continue to fire up the imagination of children everywhere. This year so far, more than 52,000 copies of Dahl's children's range have been sold here, according to Penguin Books Singapore, which distributes his books here. As Ms Leong puts it: "Roald Dahl's works feature protagonists who are resilient, resourceful and brave in the face of difficulty. They take life's challenges in their stride and inspire young readers." • The BFG opens in cinemas tomorrow.